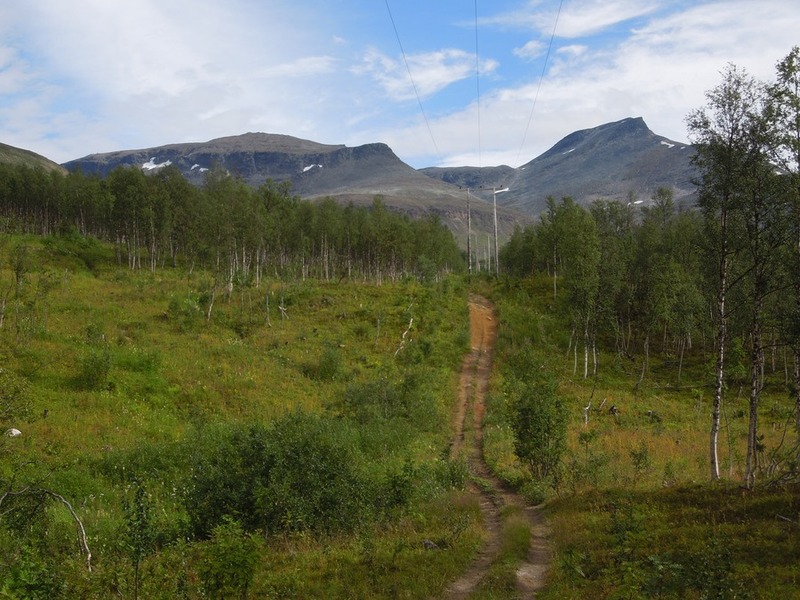 A short route description: Start from the farm Tverrelvnes north of Fjellfrøsvatnet where you will find a marked dirt road that follows the power lines to the head of the valley Gievdnevággi(4 km). 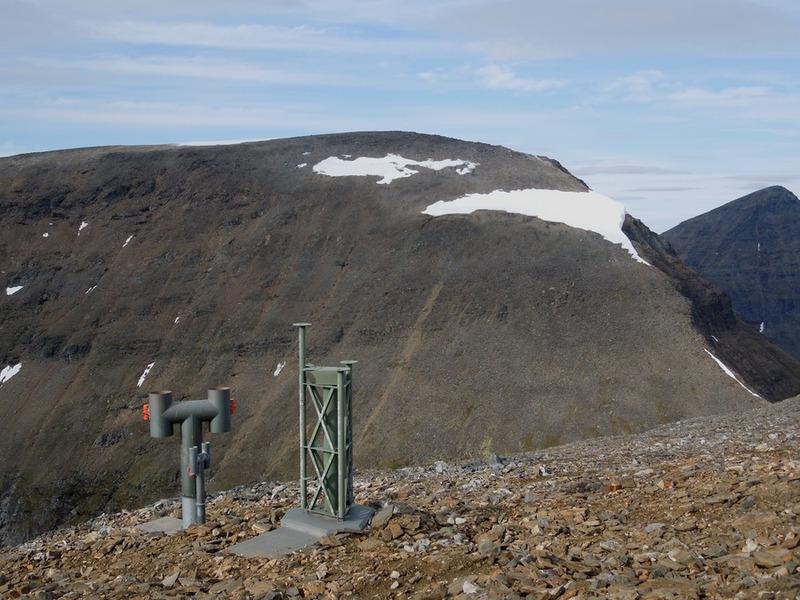 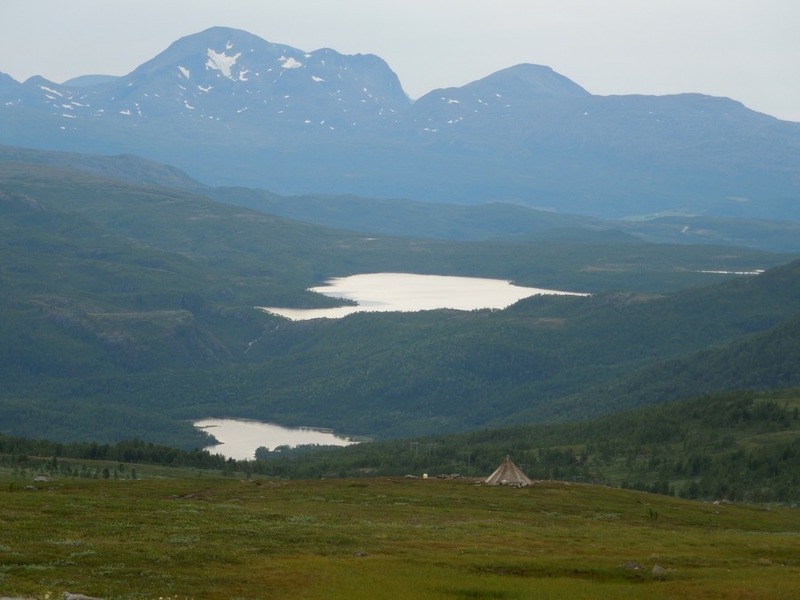 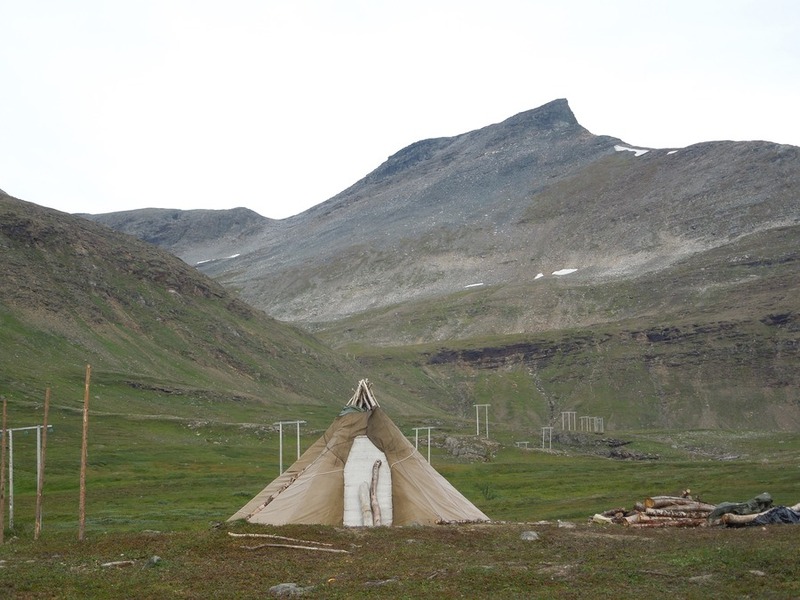 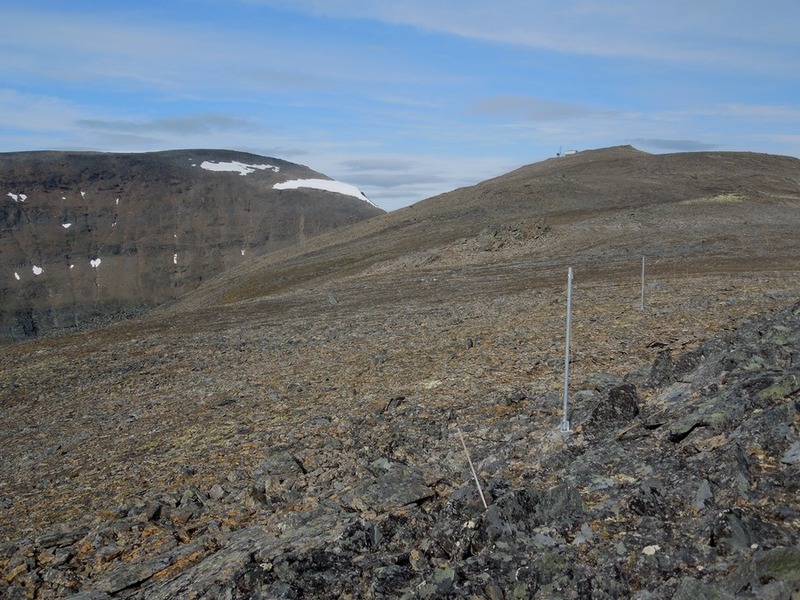 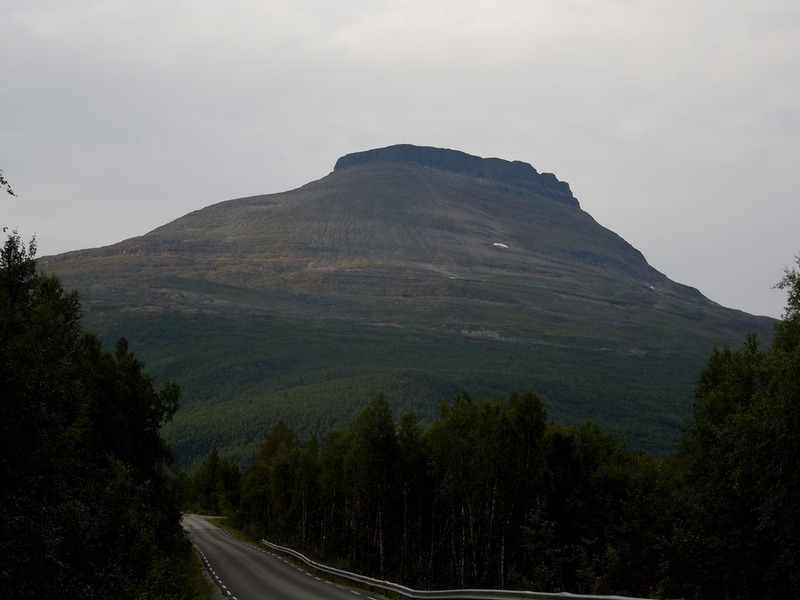 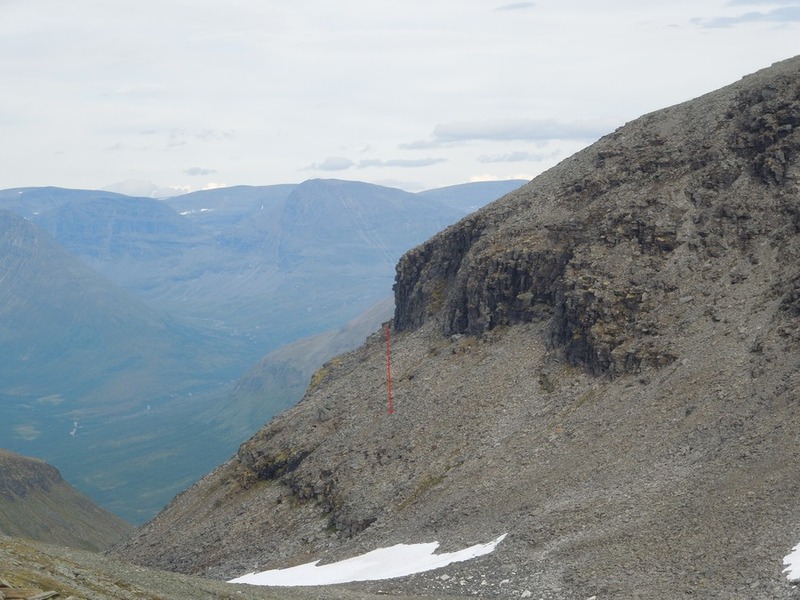 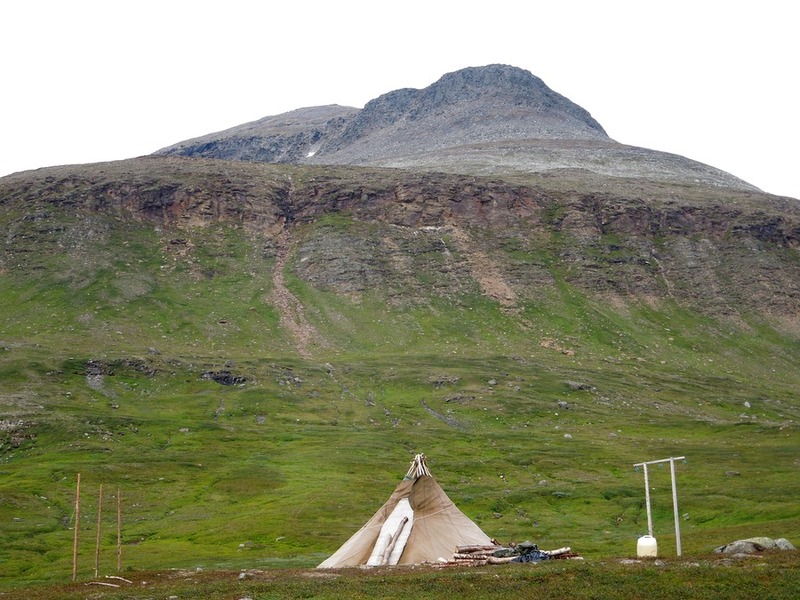 There is a Sami reindeer camp in the upper part of the valley (You will probably have to climb a fence or two). 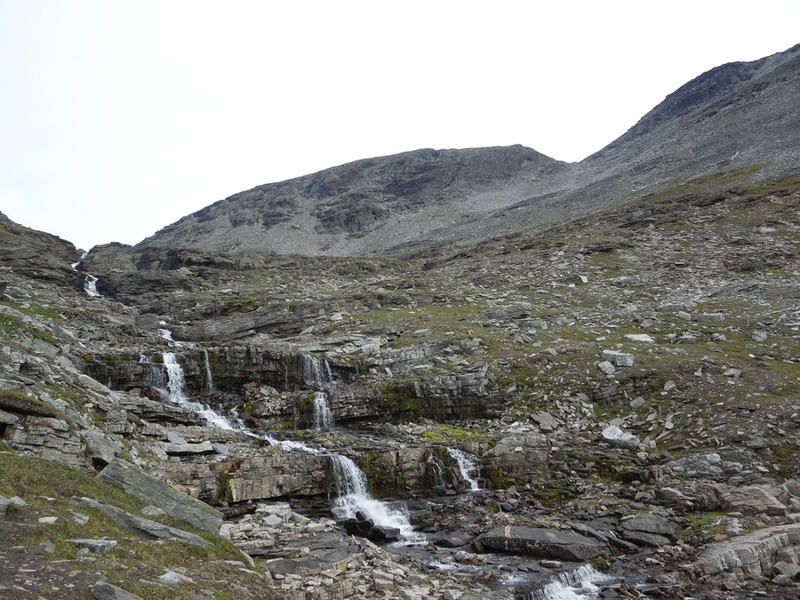 Because I found various body parts from reindeer laying around, I would not drink the water from the streams in this area. 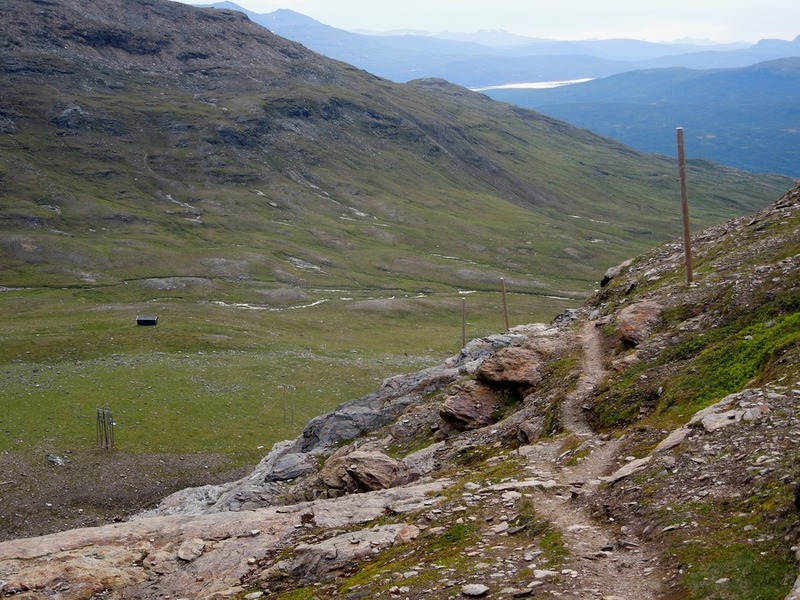 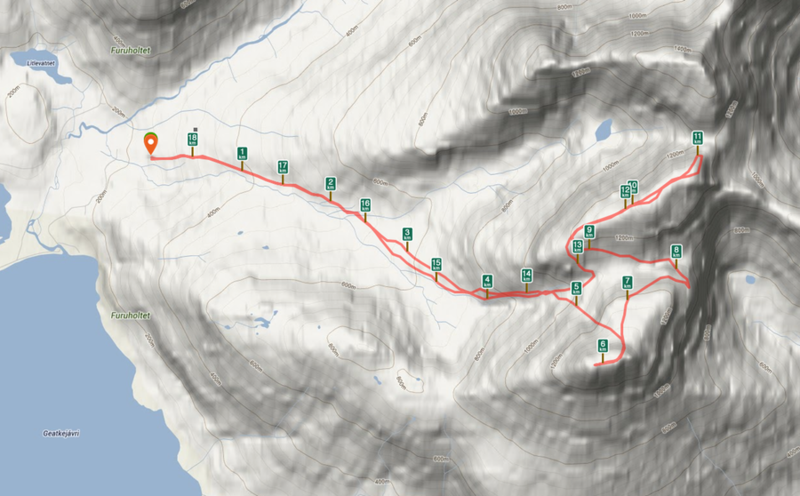 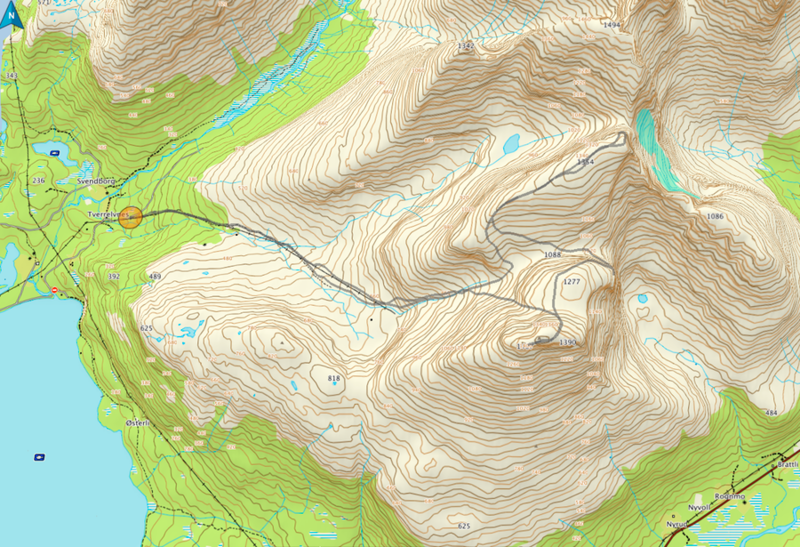 The route continues as a marked path on the north side of the stream before it crosses the stream and continues mostly on scree towards the Col and later the summit. 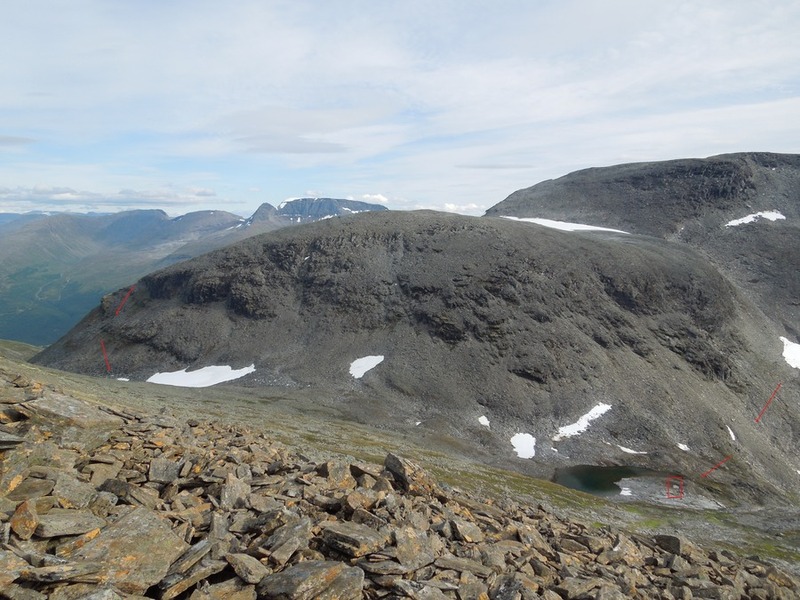 Likjefjell (1354) in the sun and Botnskartinden (1494) in the shadow.. 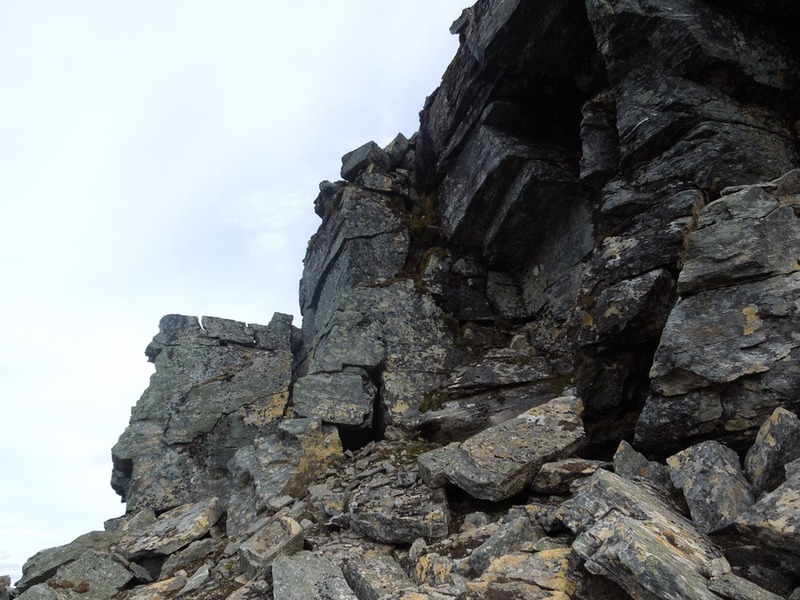 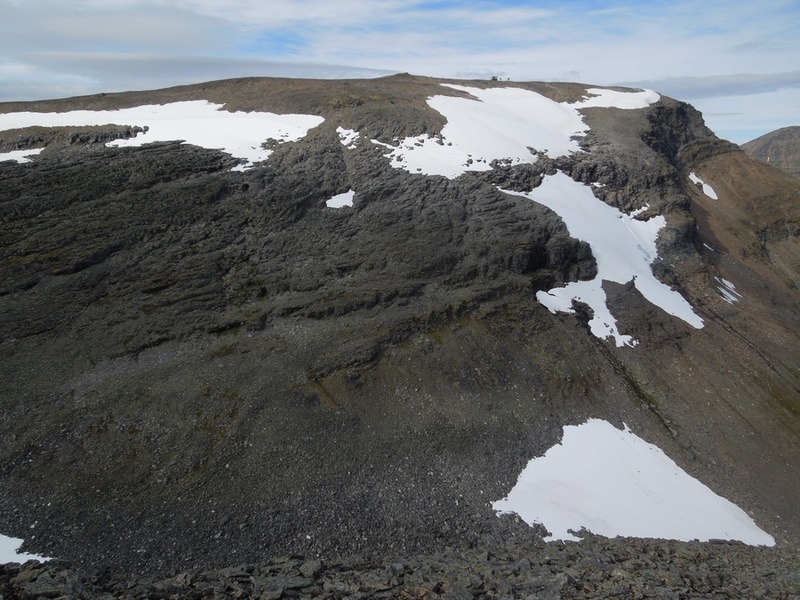 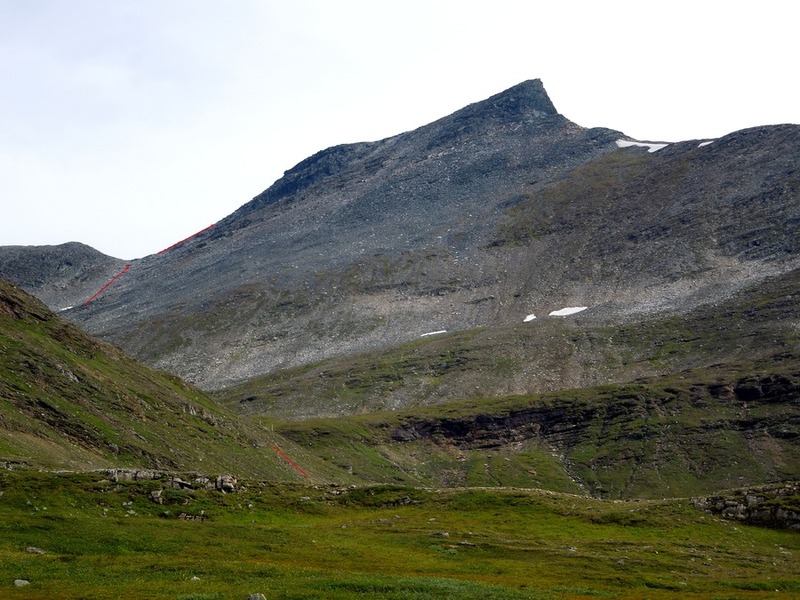 The ascent from point 1277 to the Col (1088) south of Likjefjell became much steeper than expected and I barely made it down. 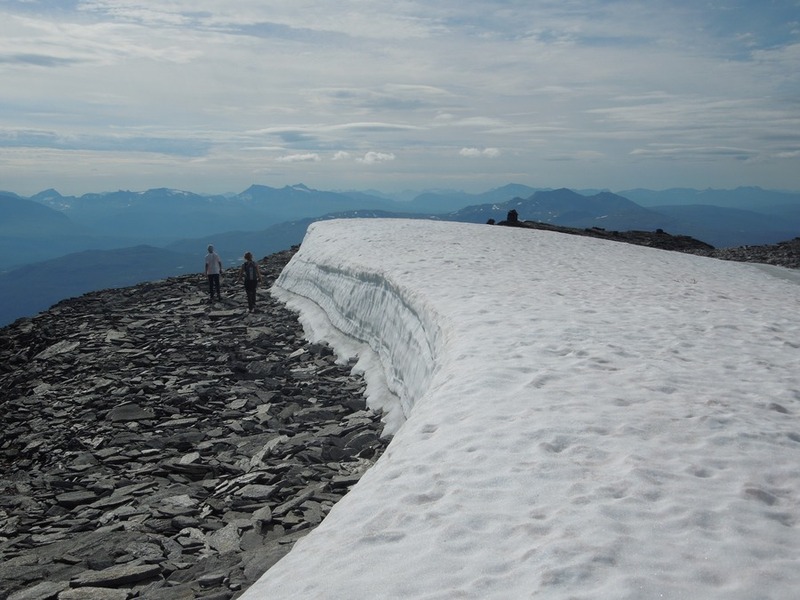 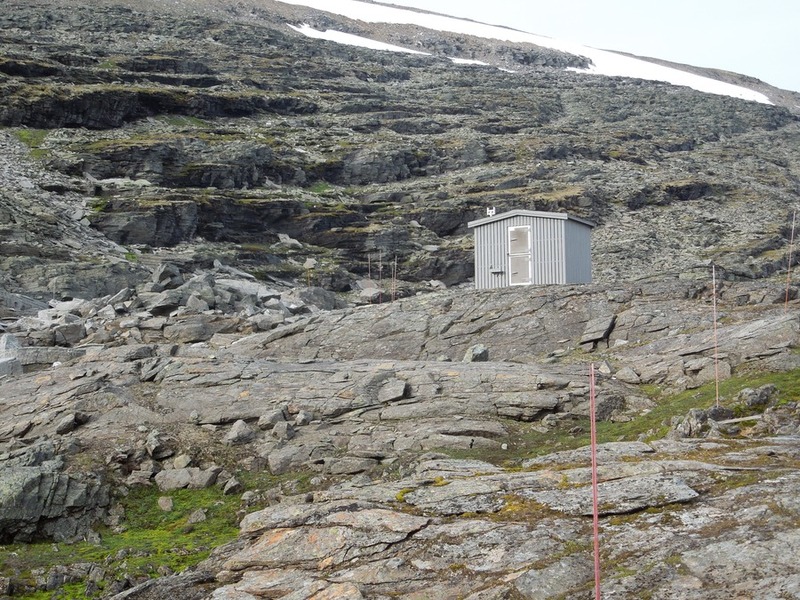 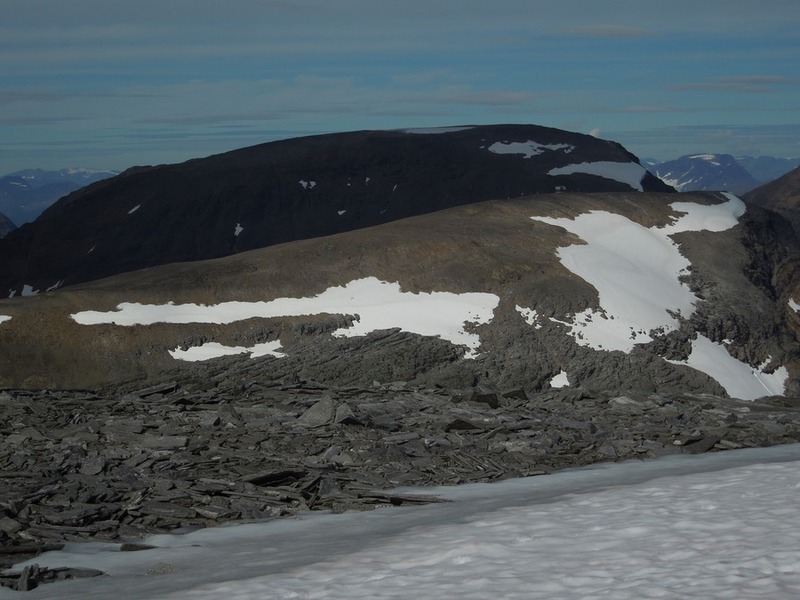 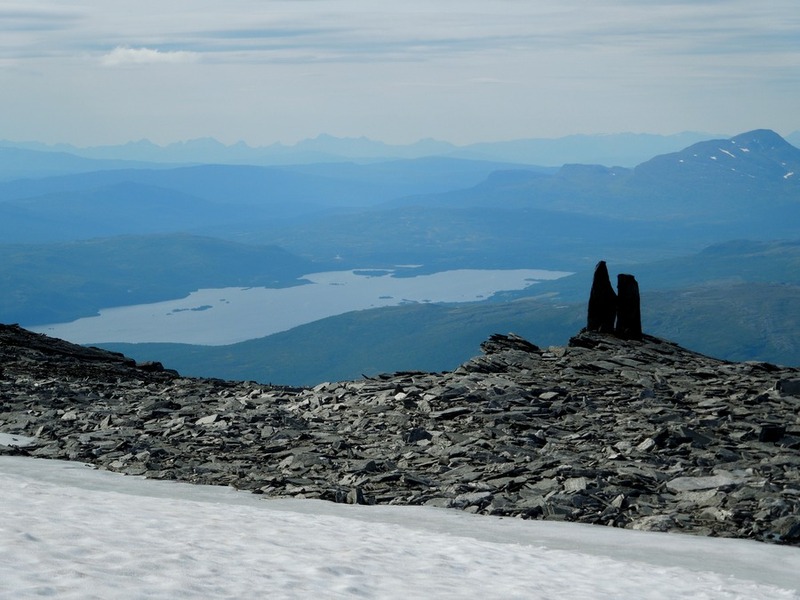 There is a marked track that starts from this cottage, leading to the summit of Likjefjell.